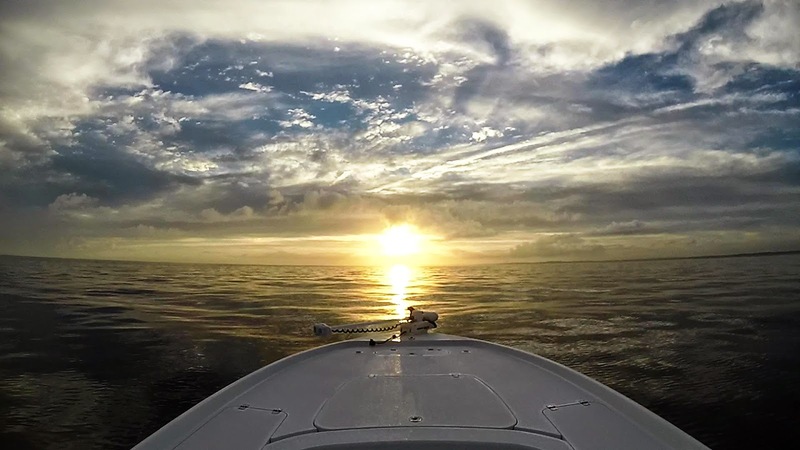 One of the functions of having a bigger inshore boat is the ability to handle some rougher water and longer distances. 2fly, our Yellowfin 24, cruises nicely between 35-40mph while burning about 10 -11 gph-- pretty solid numbers considering the load of anglers and fishing gear we normally have aboard. After a long summer with slower fishing activity in local waters, the brief window of early fall when false albacore make their appearance is thrilling. They don't call it "albie fever" for nothing! These little speeders can maddening, and light tackle anglers develop a love hate relationship with them. Often challenging to locate and then finicky to hook, success attaches you to one of the more thrilling inshore species the Mudhole and surrounding waters have to offer. We heard the first reports of 'hard tails' trickling in from waters east of us. Rhode Island first, followed by the New York waters of Montauk and Fishers Island, and then the eastern Connecticut shoreline. Like a nervous tick, the brain jumps back to chasing albies, distracting you from whatever task is at hand. finally, it's too much. Despite busy schedules, we freed a Sunday and started prepping for the trip. Gear was laid out days in advance. We just needed to put the boat on the trailer. The weather was the big uncertainty. As the weekend approached, east winds blew strong. That's rarely a good sign for good fishing. The forecast changed by Friday, and on Saturday it showed that Sunday would see rain progressively clearing eastward and then light southeasterly wind. Having a plan in important. Adapting the plan to the situation is more important. We changed gears. Instead of trailering to Niantic (Plan A), we launched from the Mudhole in the late morning after the rain cleared. Plan B was to drive east and stop either when we found birds and fish or when we hit the rain line. So we drove. The seas were confused but not big, and 2fly loped easily along at 35mph. 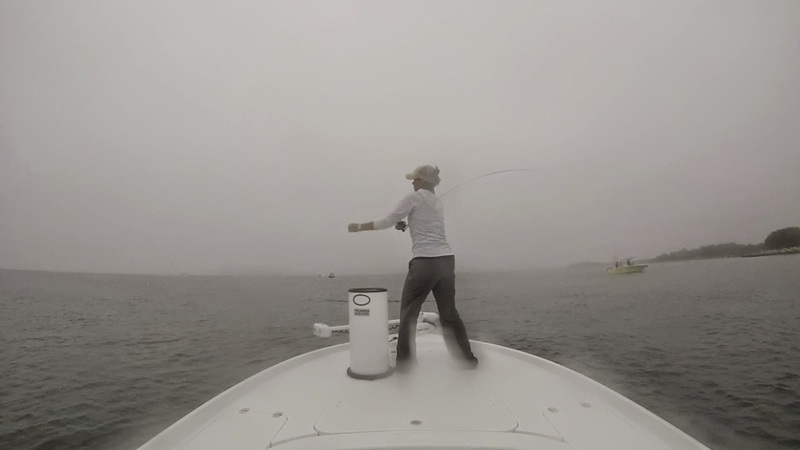 We slowed to sight see in the Thimble Islands and poke around a few rips. 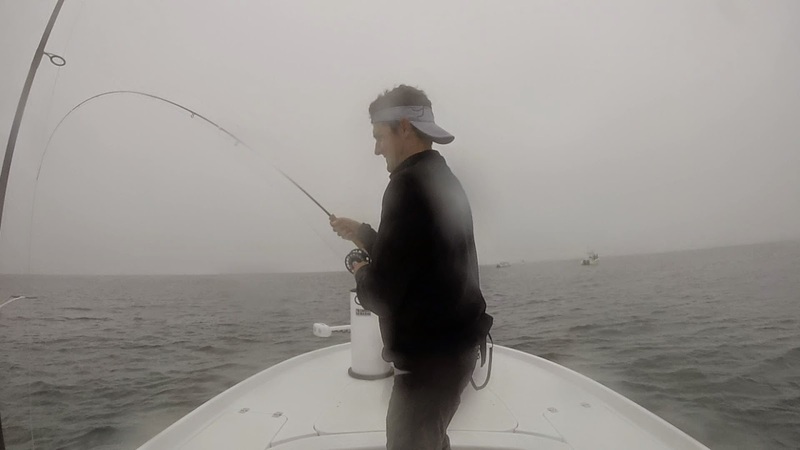 We paused in Clinton to throw flies at a brief surface blitz of bluefish. We passed Niantic in fog and a brief sprinkle. In front of the old Seaside Sanatorium we found birds and small blues blitzing-- along withe a blitz of boats! We paused and fished with the herd for a while hoping for albies. They may have been there, but we didn't see them. We chatted with some friendly folks as we tossed flies in a slowly increasing wind and then moved on. We passed New London and continued down the shore. With no real action to speak of, it was time for a game change. "Let's run over to the Race," I suggested. By now it was noon, so we enjoyed a light lunch and cool beer as we reached the eastern end of Fisher's Island. Immediately we saw fish on the surface. 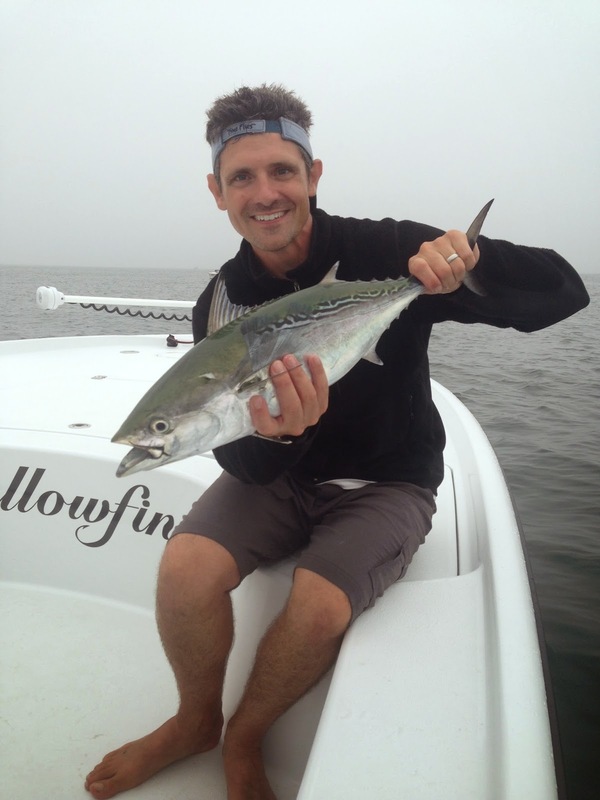 Lunch was on hold as we cast into small 1-2 lb bluefish. It was entertaining, but these weren't the fish we'd driven all this way for. We moved south toward the The Race. And then we found them. Pods of albies up on the surface, here, there, gone, then back. Tucked into the lee of the island made the fly rods the best and most fun tool for the job. 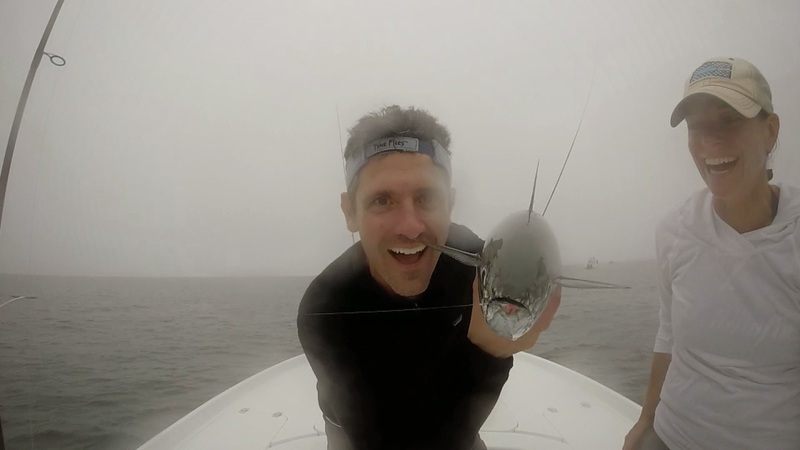 With Allie on the bow and me at the stern, we cast epoxy flies into the busting fish. The of a tug on the line in your hand travels up your arm and down your spine like electricity. Drags set tight seem to hardly slow these little speeders, which run as hard as anything pound for pound. We boated a couple, broke one off, cursed at a few that nipped our flies but didn't connect, and laughed when our cast landed right in the boil on the water without success. Albie fever indeed! Meanwhile the weather was changing. The wind had picked up, and we could see showers moving in from the southeast. The radar showed a wet ride for the first 15 miles home. 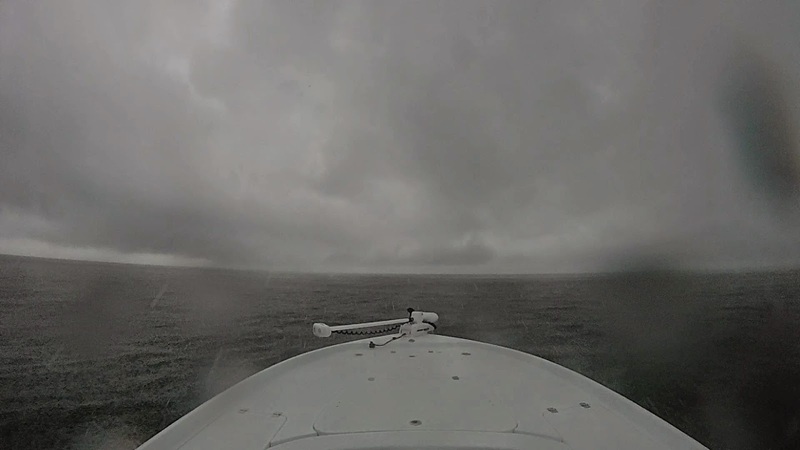 We pulled on the foul weather gear, stowed the rods, and started the run for home. 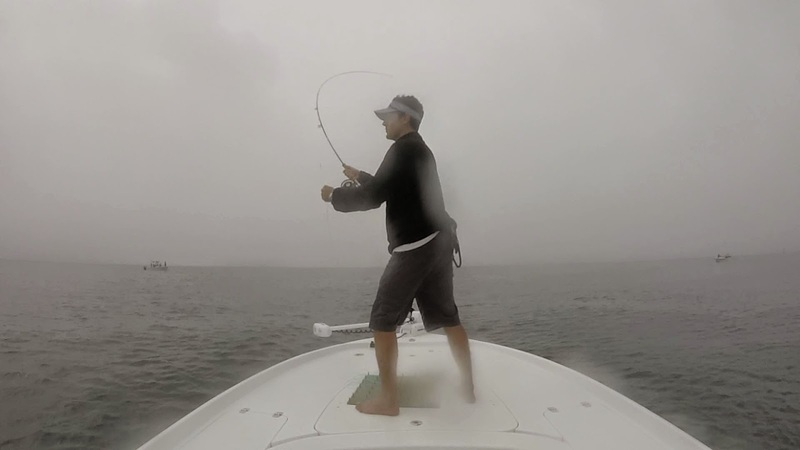 The first 30 minutes were wet-- this is the tradeoff of having an open boat to maximize fishability. We rode down sea in 3 foot waves, eventually running through the storm and into clearing skies. Opening up the throttle, we pushed for home. Sun beamed through multilevel clouds, guiding us home in a golden glow. 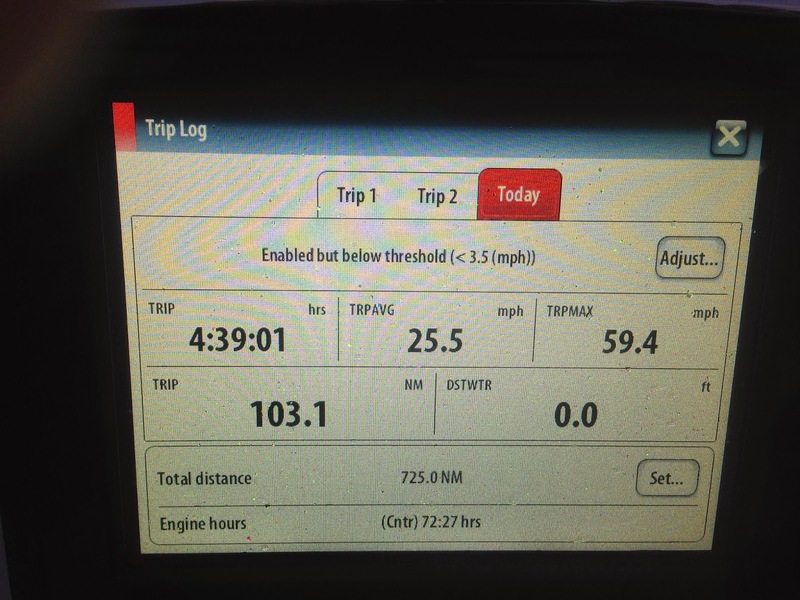 103 miles isn't something to do every day, but it's mighty nice to know you can. Bringing albies to the boat while waters in the Mudhole were empty made it all worthwhile.